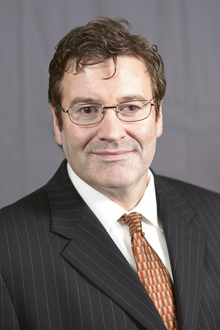 EDWIN J. OLSON | Charysh & Schroeder, LTD.
Edwin J. Olson received his Juris Doctor degree from Chicago-Kent College of Law in Chicago, Illinois, in 1994. He received his Bachelor of Arts degree from Michigan State University in East Lansing, Michigan, in 1989. After graduating from law school, Mr. Olson spent four years as a public defender in Michigan where he tried cases ranging from DUI to assault with intent to commit murder. Prior to joining Charysh & Schroeder, Ltd., Mr. Olson was affiliated with a Chicago based insurance defense firm where he concentrated in the defense of automobile, construction, and premises liability claims. Mr. Olson has tried over 20 criminal and civil cases to verdict. He previously served as a special Assistant State’s Attorney in representing the County of Will in claims involving excessive use of force and other civil rights violations. He has successfully drafted and argued dispositive motions leading to the dismissal of §1983 civil rights and construction liability claims. Mr. Olson is admitted to practice law in the State of Illinois, the United States District Court for the Northern District of Illinois and the Seventh Circuit Court of Appeals.